Maximum Performance Systems provides electronic hardware and software design services to a wide range of industries. We specialize in embedded control and monitoring systems for the industrial, medical and consumer markets. Our product design experience ranges from simple single circuit board assemblies to multi-module systems with extensive display & communications capabilities. Small to medium volumes of finished prototype or production assemblies can be supplied, making us a "one-stop" solution for your electronics requirements. We also have extensive experience with a number of contract manufacturers and can assist you in choosing a contract manufacturer for manufacturing your product. Advanced Electronic Design Automation (EDA) and mechanical CAD tools are utilized to take your product design ideas from concept through production. All designs are prototyped and thoroughly tested for compliance with the product specifications, assuring the design we provide meets your requirements. Complete production documentation is provided with each design ensuring cost effective and trouble free manufacturing. We are actively involved as registered consultants with several semiconductor companies which allows us to stay abreast of the rapidly changing electronics market. Because of this, we can supply leading edge solutions to your design needs as new devices become available. We believe that a product design should be robust and reliable while still being cost effective. Our Goal is to provide you with the highest quality product possible, while meeting your cost and time-to-market objectives. 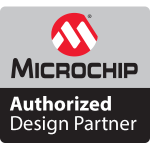 Maximum Performance Systems specializes in designing with Microchip Products. Visit the Microchip Technology web site for more information by clicking here. © 2019 Maximum Performance Systems. All rights reserved.